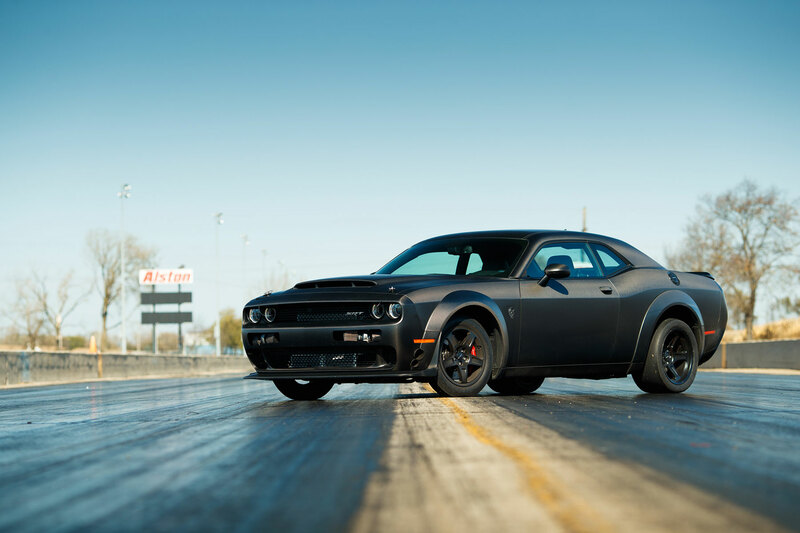 For those who find the standard 840hp Dodge Challenger SRT Demon just a little too tame, Wisconsin-based SpeedKore Performance Group has developed an epic solution. 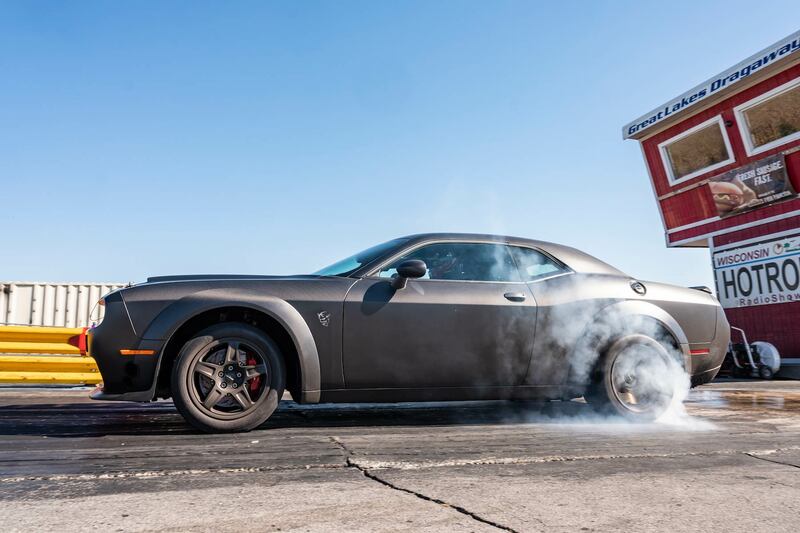 Dispensing with the supercharger attached to the 6.2-litre Hemi V8, and replacing it with a twin-turbocharger setup, has unleashed gigantic power from the muscle car. 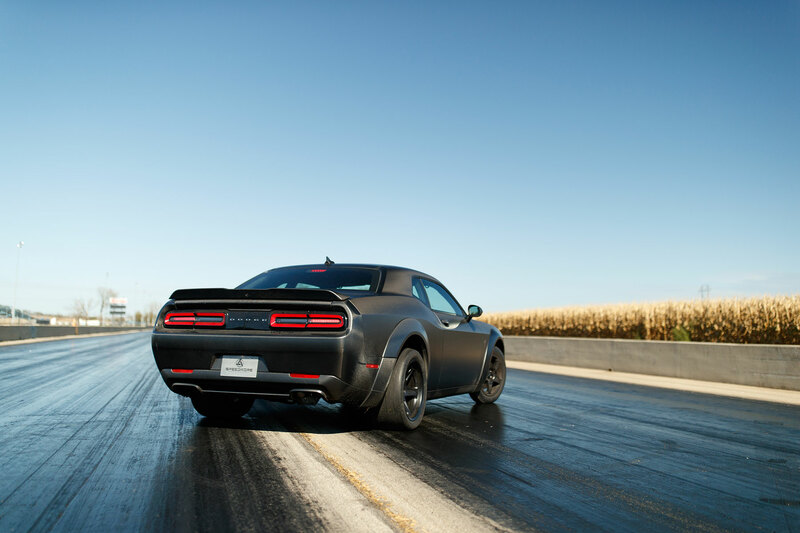 Despite making use of the standard Dodge engine block, the pair of Precision Engineering turbochargers create a total of 1,203hp at the rear wheels. As a reminder, that’s an output greater than a Bugatti Veyron Super Sport. 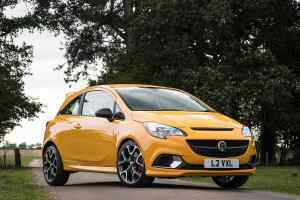 At present, the engine breathes through holes cut into the bumper, with the exhaust system also exiting just ahead of the front wheels. Sadly this setup, despite being impressive, is not street legal but a traditional rear exhaust version is under development. 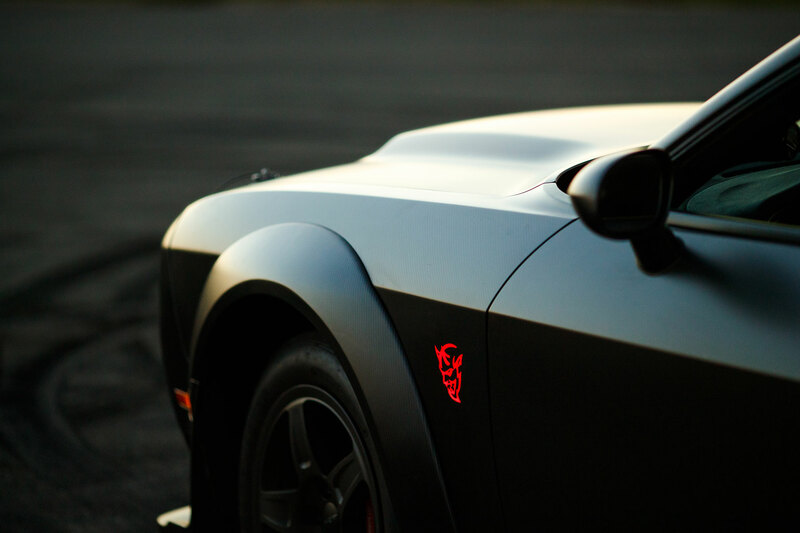 SpeedKore specialises in carbon fibre bodywork, with the twin-turbo Demon being no exception. 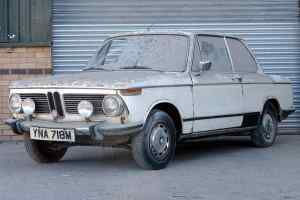 The lightweight material is used for the front and rear bumpers, wheel arches, quarter panels, roof, and boot. In fact no panel is spared from the carbon fibre makeover, shaving some 113kg from the Challenger. 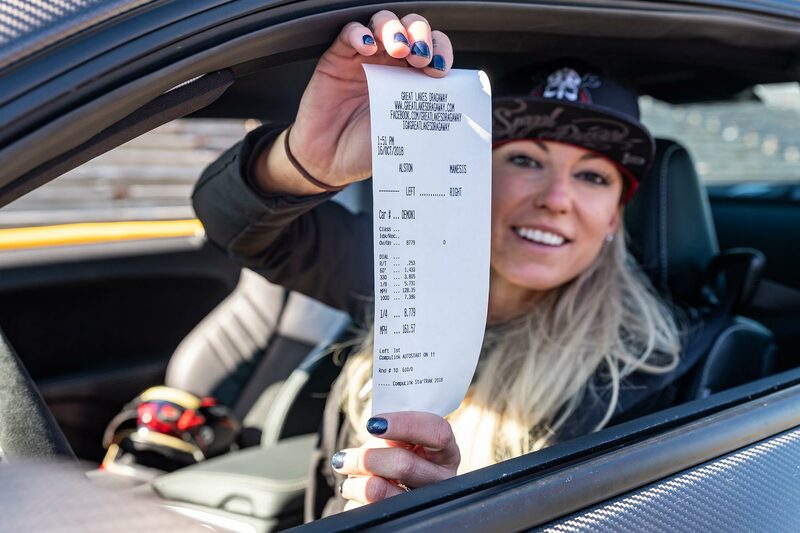 To test the performance of the twin-turbo Demon, SpeedKore asked professional drag racer Leah Pritchett to tackle the quarter-mile at the Great Lakes Dragway. 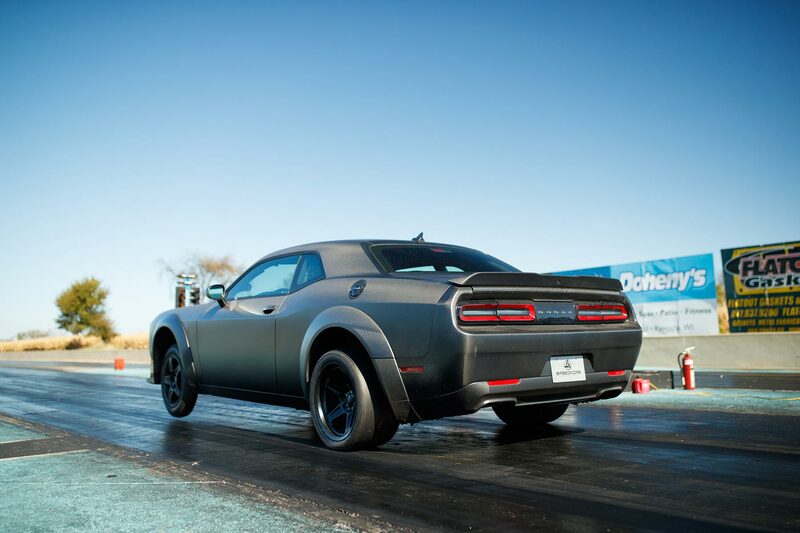 Despite a chilly October day making the surface less than perfect, Pritchett was able to set a new record for a Dodge Challenger SRT Demon. 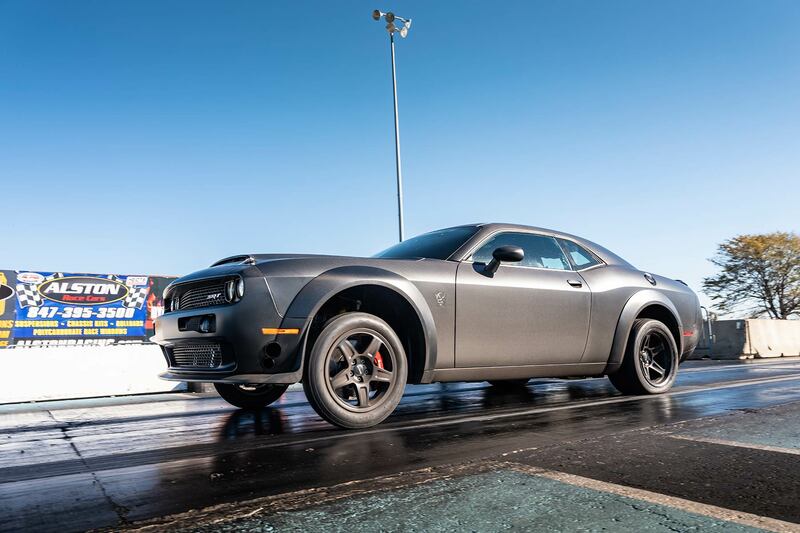 Covering the quarter-mile in just 8.77 seconds, with a terminal speed of 161.57mph, meant a considerable step up from the regular car. 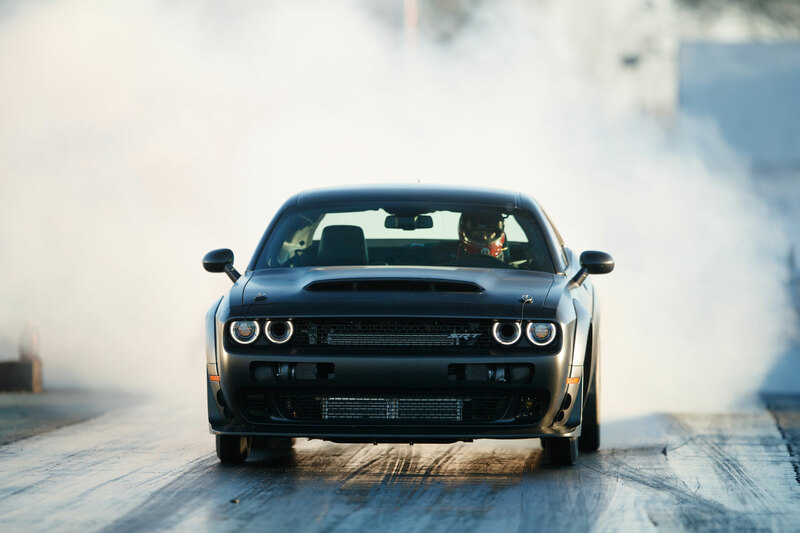 In fact, Pritchett had set the previous record for a standard Demon at 9.65 seconds with a speed of 140mph. Scariest of all is that this only marks the beginning of the SpeedKore twin-turbo Demon story. Upgraded internals for the engine will allow for more power, whilst warmer temperatures next Spring should produce even faster times at the drag strip. 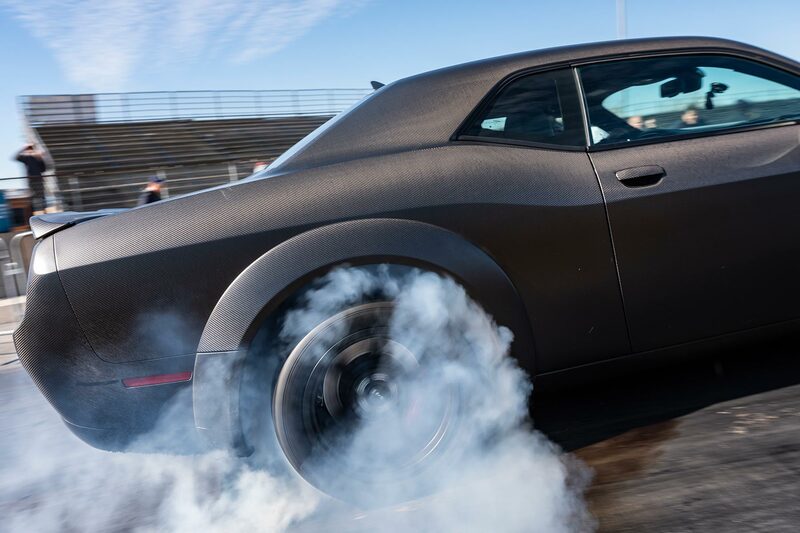 The twin-turbo Demon will make its public debut at next week’s SEMA Show in Las Vegas. SpeedKore has previously produced a special Ford Mustang for Robert Downey Jr, and a modified Chevrolet Camaro for Captain America star Chris Evans.